Items find their way to the preservation lab in a lot of different ways. Sometimes new items are sent to us the moment they arrive and other times items circulate dozens of times before coming to us for a face-lift. Collection managers and librarians contact us when they have a special project planned, but occasionally someone just finds an old, beat-up book sitting on a shelf and sends it over. We have a lot of allies in the libraries looking out for us, but sometimes the only way to really know the physical status of a collection is to go and look over the whole thing ourselves. We call this a Collection Improvement Project, and our current collection of choice is the East Asian Collection in Herman B. Wells Library. The East Asian Collection at Indiana University was begun in 1950 by Professor Ssu-Yu Teng, Professor Emeritus of History at IU. Dr. Teng came to the U.S. from China in 1937 and immediately began work at the Library of Congress as Assistant Compiler of Orientalia. His love of books and libraries would continue for the rest of his life, and provided the foundation and impetus for the formation of the collection at IU. One of his colleagues once remarked that he was a “walking bibliography” when it came to East Asian sources. Dr. Teng received his Ph.D from Harvard in 1942, and went on to teach history at the University of Chicago, Harvard, and finally, IU. He was one of the few people teaching Chinese history in the U.S. at the time and is considered one of the founding members of Chinese studies in America. Dr. Teng began the East Asian collection out of need for materials to use in his own classes, but worked tirelessly his whole life to expand it. 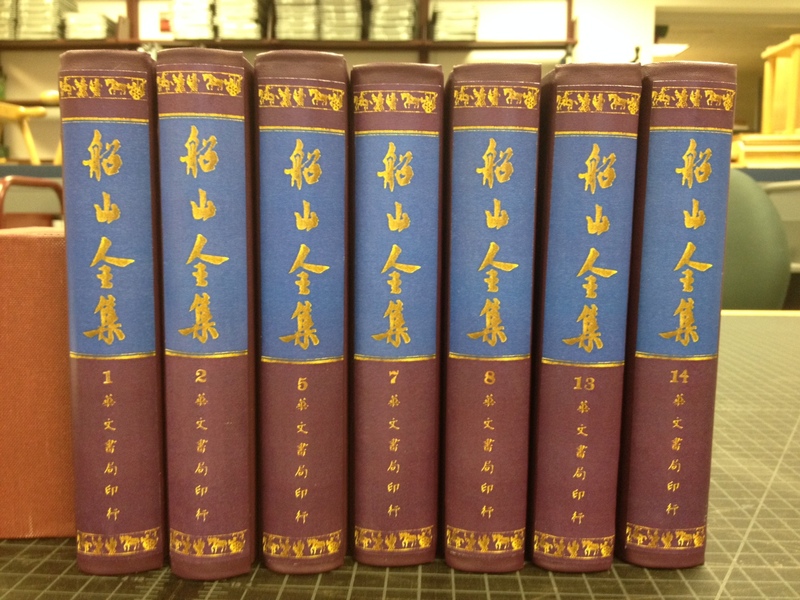 The collection now contains about 320,000 items pertaining to China, Japan, and Korea, and supports one of the top-ranking East Asian Studies departments in the U.S. Dr. Teng passed away in 1988. 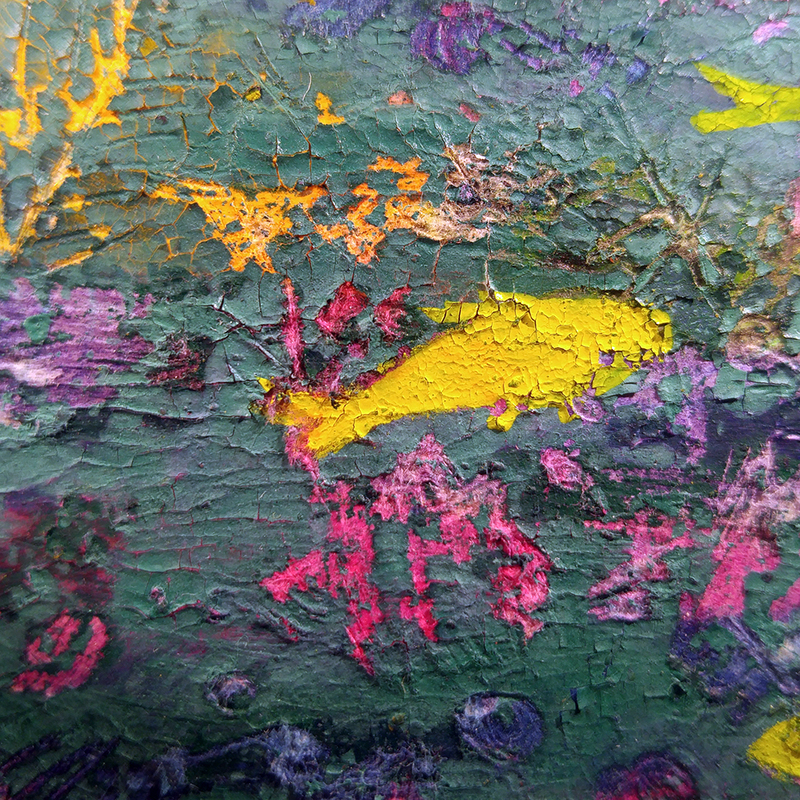 The main purpose of the collection is to support research and scholarship. As Dr. Teng himself once wrote, “Just as lively fish without water would die, so a research scholar without access to books could perish.” However, this is not the only reason why these items are so important. About 59% of international students enrolled at IU in the Fall 2017 semester were from East Asia (China, Taiwan, Japan, or South Korea). For these users and their families, the collection represents a source of leisure and enjoyment, in addition to a research option. The collection also provides materials through interlibrary loan to universities all over the U.S., but especially to smaller Indiana universities without access to large collections. When making our decisions about how to conserve these items, we must first consider how they are used. 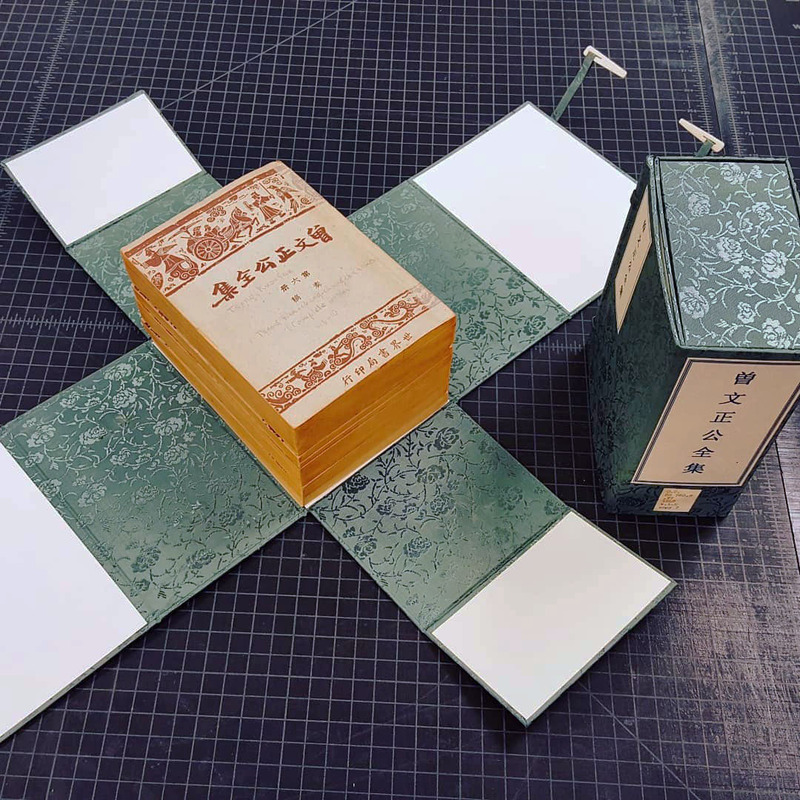 Our first step was to meet with the Librarian for East Asian Studies, Wen-ling Liu, who gave us insight into what users value most about the collection and where problems may be found. We learned that the collection is browsed heavily, so it is important to have spine labeling clear and visible. We will also avoid putting the items in an enclosure unless absolutely necessary, as it can hinder browsing. These items are also less likely to be available in electronic format and are often not replaceable. Some represent new challenges for us, such as new formats and unfamiliar languages. We plan to carry out the survey by going through the collection methodically, shelf by shelf, pulling items that need preservation. At the same time, we have taken note of particular areas of need and will pay special attention to those. It can take a long time to go through such a large collection, but by the end of it, we will rest easy knowing that this important piece of IU’s library collection will persist for many more years to come. These sorts of fold-out pages are unusual in Western bookbinding. 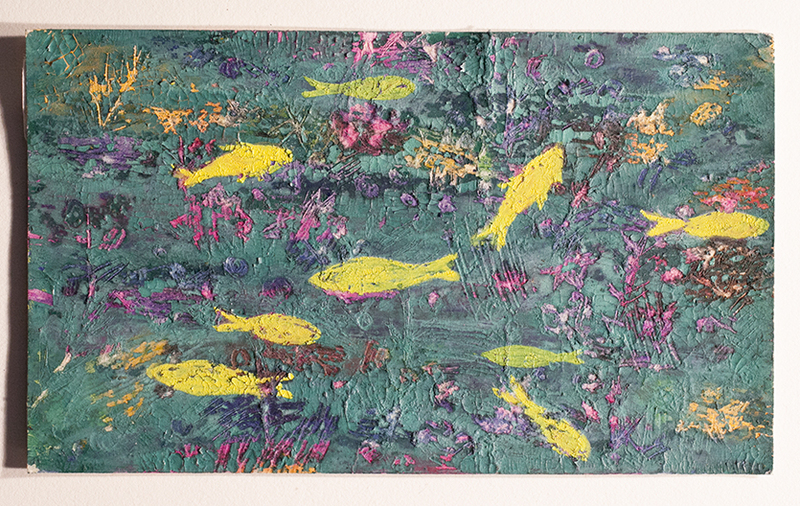 When creating a cover for this item, I wanted something that would lay flat so that the sheets could be completely unfolded and examined without the cover getting in the way. This! 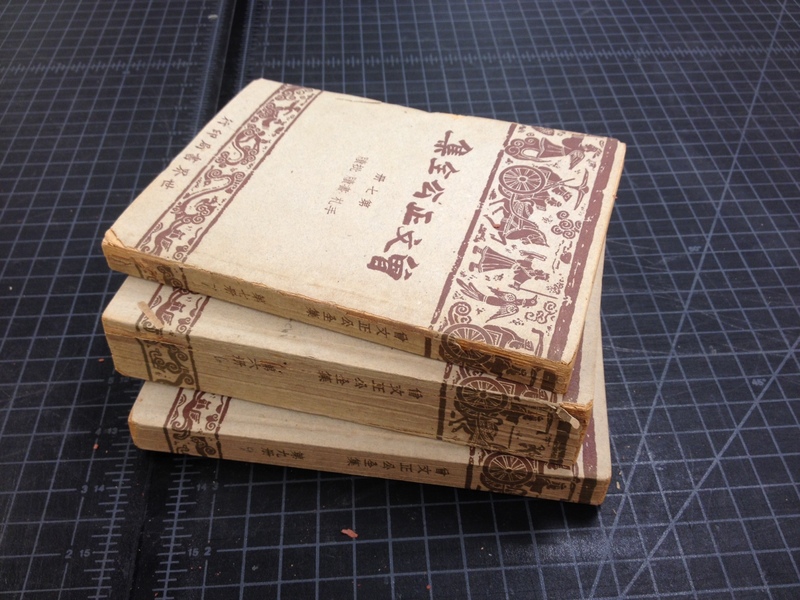 This type of enclosure is called a tao and is the traditional case that would be used for housing these types of items, with multiple paperback volumes. Often they only wrap around the sides, not the top and bottom, but for the sake of preservation, we used a template that covers everything. We try to label items in their original language to facilitate browsing. If you don’t speak Chinese it can be a little tricky! John K. Fairbank, “Obituary: S.Y. 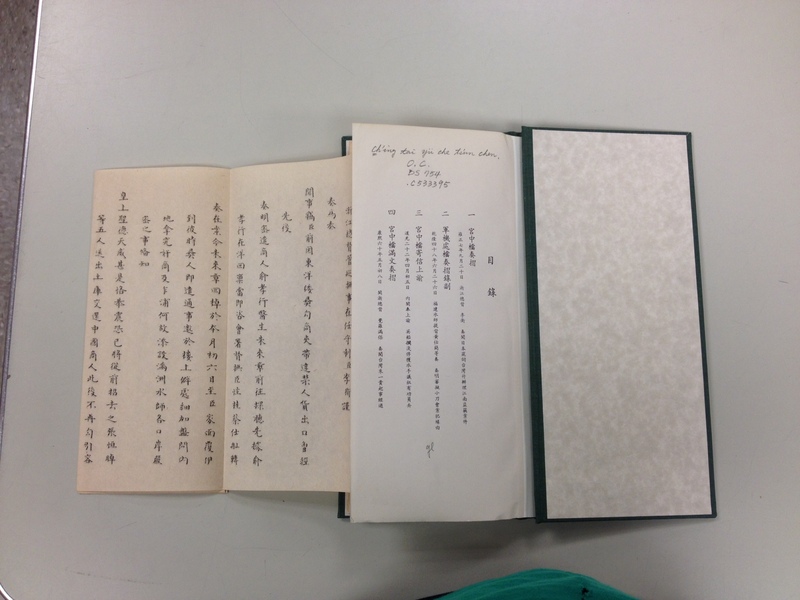 Teng (1906-1988),” Journal of Asian Studies 47 , no. 3 (August 1988): 723-724. Preservation Week was created in 2010 because some 630 million items in collecting institutions require immediate attention and care. Eighty percent of these institutions have no paid staff assigned responsibility for collections care; 22 percent have no collections care personnel at all. Some 2.6 billion items are not protected by an emergency plan. As natural disasters of recent years have taught us, these resources are in jeopardy should a disaster strike. Personal, family, and community collections are equally at risk. ALA and its partners urge libraries, museums, and archives to take this week to remind others of the importance preservation efforts play in maintaining our collective national heritage and accumulated knowledge in the form of the written and printed word. We don’t have any special events planned this year as last, but that doesn’t mean preservation efforts have stopped in the lab. In fact, we’re working harder than ever to identify, prioritize and care for those very types of items mentioned above, within IU Bloomington Libraries and other Bloomington Campus collections. 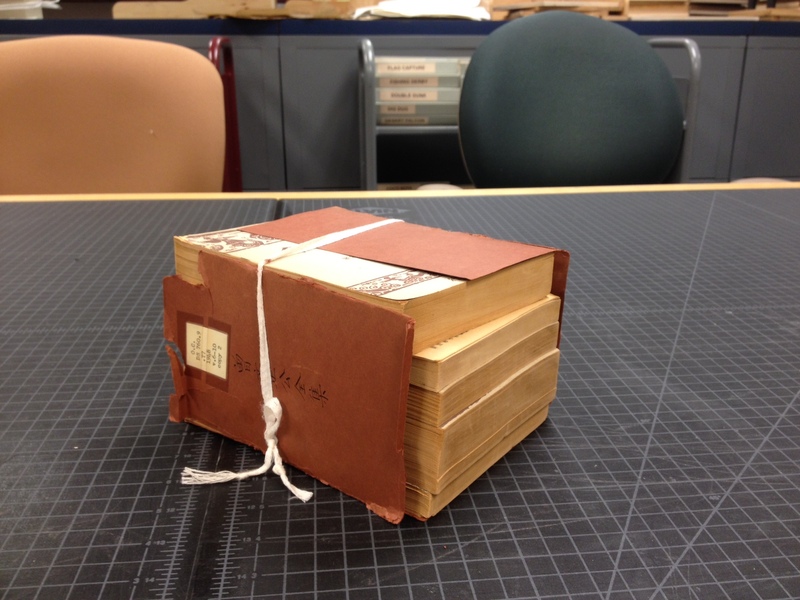 Fiscal year 2013-2014 saw 6,736 enclosures made for items as varied as wooden puzzles, microfiche rolls, artist books, manuscripts, scrapbooks, photographs, pamphlets and just about any other category of item in our Special and General collections. 3,056 individual items were given remedial care. 6,603 volumes were prepared and sent for commercial binding. Beyond this, Preservation staff are on call to respond to water emergencies affecting collections across campus. We provide insect and mold remediation services to many research centers and departments. Tours of our facility are conducted on a regular basis educating students, staff, faculty, donors, peers and university presidents about the work we do; spreading the importance of our mission. Seven temporary/student workers are currently employed and provided with valuable on-the-job experience in the Library field as well as income to aid in continuing their studies. All told, much of the work we do has a visible effect on collections- items are repaired and made available to circulate safely and enclosures are created to aid in best storage practice. Beyond that, Preservation plays an integral part in library operations as a partner in the overall mission of providing the University community with information resources for years to come. The Preservation Lab at IU Bloomington shares the same address as our Auxiliary Library Facility (ALF)- a compact storage facility on the edge of campus designed to hold 6 million book volume equivalents. Most of the time, we enjoy being away from the parking hassles and student congestion of the main campus libraries, but increasingly we’re finding issues are cropping up with transportation of collection materials. ALF currently stores 3.2 million books, manuscripts, maps, architectural plans, film reels: you name it! Combine this with transport needs for the items we’re working on in the Paper Lab and General Collections Lab and quite a lot goes back and forth each day. It’s often easier and quicker to just do it yourself. I can be available to consult with subject librarians and archivists if they deliver items in person. Flat paper items often do not fit into the totes utilized for book delivery. I get a chance to visit satellite libraries and reinforce professional relationships. I can rule-out mishandling of items during transit. However, recent developments are causing us to reassess some of these habits. Our Geosciences Library closed, with much of the collection coming out to ALF. I’ve also implemented a rolled-storage method of housing campus architectural plans out here (representing a significant portion of the University Archives holdings). Additional pressures have arisen to store items from other campus entities that don’t always fit the mold of tote-able goods. There are also liability issues with the transport of university property in personal vehicles. All of this means that more and more requests are coming in for items whose transport needs haven’t been formally considered. ALF employees currently make a five mile round trip once a day to deliver requested items to patrons at campus library locations. A second trip to the main library (Wells Library) occurs too. Books are packed onto shelved A-frame style carts and strapped to the walls of a box truck. There is also a separate Library-wide mail service originating at Wells; rigid plastic totes are used by this unit. In order for oversized materials (either on a rigid tube, or foldered/flat boxed) to be transported by either service, they must be packed securely and robustly, strapped down when appropriate, be weatherproof and capable of delivery by one person. Packing must also be straightforward on both the shipping and receiving end for conservator and general library employee alike. So, after some searching for products to meet these specifications, we’re going to pilot two types of cases: a rigid tube and a reinforced case. The interiors of both cases can be filled out with Plastazote and/or Volara foam for clean, discrete and archival padding. Existing delivery routes and workflows should not need to be changed. I forsee some training needed by those who manage collections and staff reading rooms, but nothing that an instructional session and some printed guidelines can’t solve. We mentioned a month or two ago a long-term project we have going with the Wylie House on campus. Roughly 5000 letters of correspondence are being cleaned, repaired and rehoused for eventual storage at ALF– the compact off-site storage facility our library system has on campus. Surface cleaning and mending the letters has been relatively trouble free, but early on we realized that the stage of humidification (prior to pressing) was causing a workflow log jam. The first efforts involved utilizing the dome on our cold suction table. An ultrasonic humidifier feeds humidified air into the chamber and after a couple of hours, the letters are damp and ready for pressing. We could only humidify about twelve to fifteen leaves at a go with this method, so we added on another humidification technique by turning our large sink into a chamber, supplied with wet blotters beneath a layer of Gore-Tex. Another dozen or so letters could be prepped this way each day. Even with these two options, pressing efforts were being stalled, causing us to go back to our client library with a much longer than originally projected completion date. Thankfully, inspiration struck and it occurred to us that it may be possible to convert our print drying rack into a Mass Humidification Device. We constructed a slip cover of sorts out of plastic sheeting and Velcro tape that fully encloses the rack, except for the bottom. With a generous ‘dust ruffle’ of sheeting at the base, not much water vapor seems to leak out. The cover is constructed of two parts: the larger is a single sheet, with stapled ‘seams’ giving some rigidity to five ‘panels’ to wrap around the rack, with closure in the front; the second piece is a top that Velcro bonds to this upright portion. The above photo shows initial tests introducing humidity into the chamber by way of the ultrasonic option. After several hours, the %RH was only up to ~70%. Opening up the cover revealed that the humid air wasn’t dissipating into the overall volume fast enough, before condensation occurred at the point of introduction. In other words, we had liquid water and dripping where the hose made contact with one of the shelves, but dryness elsewhere. 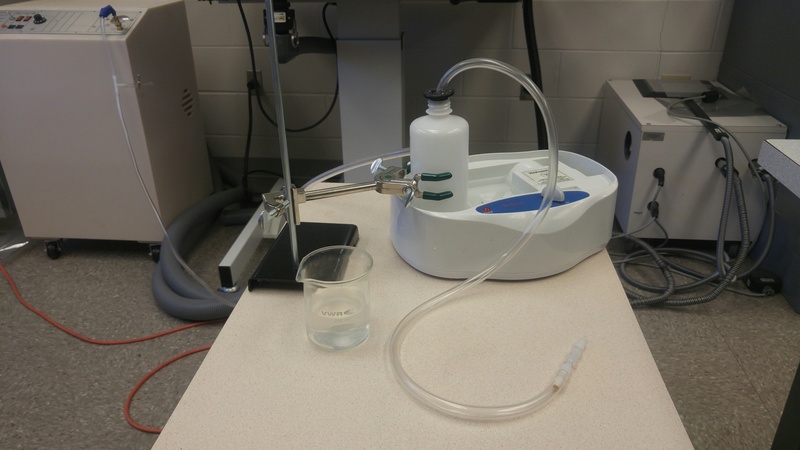 A second set of tests with wet blotters proved much more effective with speed of humidification and distribution of water vapor. We are now able to fill 20-25 shelves with correspondence per day. A wet blotter is placed between every 4-5 shelves of letters. Humidification takes place over about six hours. We empty the rack of its contents at the end of the day, and create a press stack for overnight drying and flattening. The process is repeated the next day, ensuring that items are pressed for 24 hours, which is effective enough for single-leaved, stationery-weight paper. Foldering and boxing then occurs. In spite of having nearly no student employees in any of the Preservation units during this period, our output for the quarter increased for both the General Collections Conservation and Kasemake units while both the Paper Lab and Bindery Prep saw slight decreases that are typical of the summer. In the General Collections Conservation unit total treatments increased from 2,407 during the previous reporting period to 2,615 for this one. Of these, the higher level treatments declined while enclosures nearly doubled as staff spent considerable amount of time working on projects for the Fine Arts Library.